I still remember my first eBay sale. The year was 1999. While visiting my parents, I searched through my childhood closet and emerged with a few random items: a pair of ice skates complete with requisite orange pom-poms, a set of hair rollers last used at a sleepover in middle school, and a packet of handwritten notes I prepared while studying for the New York State bar exam. Those notes sold for a whopping $100. eBay has changed a lot since then and has only gotten easier to use. I’ve learned a few tricks along the way. 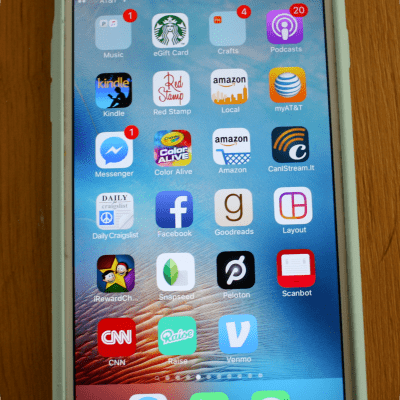 This post deals exclusively with selling on eBay using the app, although you may use a computer. 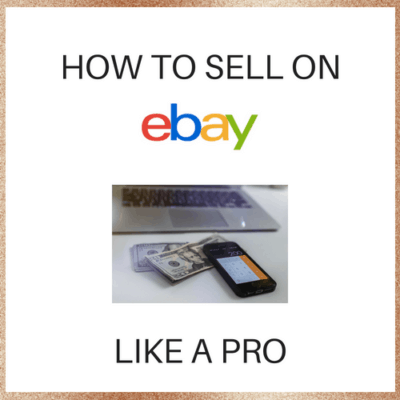 I didn’t always know all of these tips, so even if you have successfully sold on eBay, I hope that you find some new and useful information here. Moms, You Need Venmo. You Really Do. Yes, I realize that if you have a teenager at home or work with a group of twenty-somethings, Venmo is very old news. However, when I mention Venmo to my group of mom friends, I tend to get blank stares and radio silence. Further, when I suggest that they pay me back with Venmo, they respond, “I’ll just give you cash or a check. It’s easier.” Actually, it’s really not easier. Now that the school year is winding down here, it seems that every time I open an email, someone is collecting money for a teacher: dance, preschool, elementary, and coaches. More often than not, that email actually comes from me as I am the class mom for both of my children. Just this morning, walking into my daughter’s preschool, a gathering of nannies and moms awaited me, shoving cash, checks, and various papers into my hand as I passed them. If it’s not apparent from my earlier posts, I do not like handling cash. I either misplace it, forget who already paid, who still owes me, and I never have the correct change on me. I create lists upon lists to keep track of everything. Don’t you wish there was an app for this? Meet Venmo.